Do You Know Who Your Pay Per Click Company Is? Google Adwords has quickly transitioned from a guerilla marketing tactic to a mainstream marketing medium to attract relevant business. One of the issues that we seem to be dealing with at a more alarming rate of late is prospects and clients that call us after speaking with paid search consultants and companies that are selling pay per click services using questionable and deceptive tactics. These companies (which will remain unnamed) seem to be relying on business owners lack of knowledge in the online arena and lack of education on how to choose an internet marketing company that is both ethical and ‘above the belt’. New business owners and marketing managers that are looking to delve into the pay per click world – I have written this article specifically for you. The purpose is to help you understand the deceptive and problematic ways that pay per click (especially Google Adwords) is being sold to unsuspecting clients today. Here is some of our most frequent pitches we hear that drive us crazy! Our company specializes in ‘Local Area Online Advertising’ and we have special software for your particular area. Before I explain why the above approaches are both deceptive, and often associated with companies that do not have your best interests at hand, it is first important to understand the very basic premise behind pay per click advertising. Now this is incredibly simplistic and there are many other factors involved in running an effective campaign. This example, however, will help you understand the fundamentals. Now, lets talk about why the approaches listed above are often associated with poor ethical internet marketing companies and consultants. While this approach may not be as misleading as some of the other tactics below it is certainly deceptive. After completing the simple tasks that are listed above, one of the very next options is choosing which areas to geographically target. Any person that runs a Google Adwords account can choose where to run the advertising. This includes running ads to a given country, state / province, city, regions within a city and even down to the street level! Further to this, Google offers the best keyword tool in the business to help companies ensure they are using all the best keywords. I suppose that any company can choose to dignify themselves as the ‘Local Business Specialist’ but telling other business that you have any more abilities than any other Google Adwords Qualified company is misleading. Lessons Learned? There is no such thing as a company that specializes in Local Online Advertising. Anyone familiar with Google Adwords (or any other pay per click system) has the ability to focus your PPC campaign to any geographic area. The success of your PPC campaign is instead subject to the experience level of the person managing the campaign. Make sure that your pay per click manager is aware of the regions that you want to focus your campaign. Every person familiar with the Google Adwords system has the same abilities. We have been seeing this deceptive tactic used by companies since the beginning. What you need to understand is that the PPC fundamentals listed above is the ONLY way that Google runs its program. They have no special arrangement with any company. Here is a comment that we received personally from our account manager at Google who referenced an earlier comment made by Frederick Vallaeys, Google AdWords Evangelist. What companies that make these false statements are doing is essentially giving you a price and then setting up your ads to run during certain times of the day and specifically in your area (so you can see them) and they set the daily budget to be much lower then the overall money you are giving them. They will then pocket the difference. To put things simply. These companies may charge you $1000 /month directly to you and then set up your campaign and only spend $500 of that budget and keep the extra funds. To verify the money that is being used towards Google Adwords there are reports available on every account which allow you to see what you have spend for each keyword and the total expenditure for the month. The report takes about 2 minutes to generate through the Adwords interface. Lessons Learned? There is no ability for any company to simply BUY the top spot for ANY keyword permanently. What these companies are doing is estimating the cost it will take to be near the top most of the time, focusing the ads in the geographic area you live in and working in their own markup. Never do a pay per click campaign that you do not pay the search engine directly! Always insist on monthly reports from Google directly that show the total spent and the amount on each keyword. 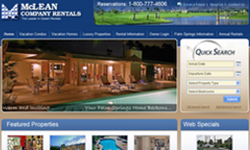 This information is all readily available through any pay per click system. Google does not have any special arrangement with any other vendor! Google Qualified Individual – For individuals that take the time to pass the online exam and prove their online competence. They also must be managing a minimum of $1000 /mth on Google Adwords. Here is the complete requirements. Google Adwords Qualified Company – This requirement is MUCH harder to fill then the ‘individual’ certification. Specifically, you must have at least 2 qualified individuals, plus maintain a minimum management spend that usually amounts to at least $100k every 3 months for most Western countries. To learn more about the training you can visit the Google Advertising Professionals page. Again – there are no partnerships that Google has over the program listed here with ANY other consultant or company. If you are being told differently, you are being lied to! Lessons Learned? Google, Yahoo! and Bing do not offer any special arrangements over and above the partner programs listed above. None of these arrangements EVER offer preferential treatment in the per click fee or placement over any other company. All they stipulate is the competence, and online spend that the company is managing. Each companies level of competence and process can be vastly different. In many cases, they will also charge you a monthly price that you pay directly to the company and then they spend an amount on Google that you are not aware of. In short – you are not sure of how much of your money is truly being spent on your campaign. You are not sending traffic to your own website which means if you ever discontinue service this company can remove your URL from their own domain and your website disappears. You are sending traffic to a domain that is not easily memorized. Your pay per click spend is not transparent. You are not clear on what budget is being spent with Google itself. Unless the company runs a ‘no follow’ on this duplicated version of your website you run the risk of losing your own organic rankings due to duplicate content. If you are running a proper pay per click campaign to your real website, running this campaign in tandem is in violation of the Google’s terms of service. The results being produced is often subject to what the company produces for you which automatically subjects the campaign to accuracy issues. Lessons Learned? Always insist that any traffic that you are generating through pay per click is sent to your own domain. This will ensure that you are branding your own company domain, and gaining loyalty irrespective of whether you continue to use that internet marketing company on a permanent basis. Also ensure that you receive reports from Google which outline the budget you are actually spending with Google and a separate invoice from the pay per click management company that shows what their own service fee is. Do not let a company setup a sub domain on their own URL and run PPC to that domain. This approach can also have negative organic optimization benefits on your existing domain! This is one of the most primitive forms of trickery. What many directory style websites are doing is offering to put up a small profile on their directory style website for your company. Typically, this one page advertisement would offer information about your company, and a link that goes through to your existing website or a small contact form which will email to you when filled out. For a monthly or yearly fee, this company will then take a portion of the funds you pay them and put it towards a Google Adwords campaign. If your business was in Toronto, Canada for example, the internet marketing company would then place ads that show only to people in Toronto and point to your webpage. Lesson Learned? — Why are you branding someone elses website when you can be dedicating this budget to your own website and growing your own following of visitors? At the same time by creating reports in Adwords you can be sure of the exact volume of funds being spent with Google instead of wondering what this company is keeping in their own pockets. So the final question you may be asking if you are looking to partner with a company that manages pay per click campaigns is what approach is the best for you? Ensure that they have the search engine (Google, Yahoo!, Bing, Facebook) bill you directly and have a separate fee billed by the PPC management company that is clearly understood for management services. Ensure that your PPC management company is building campaigns that send traffic to your existing website. This way even if you decide that one day it is not working for you, the intrinsic benefit you received from the visitors that were sent to your site will continue on. Ask for the internet marketing companies credentials! Are they a certified Adwords “Company” or “Individual”? There is a big difference between the two. Ask them to send you a link of the listed credentials that visibly shows the companies name on the Google website. Anyone can copy a logo, but Google only lists companies that are truly partnered with them on their website. Here is an example of TechWyse Adwords accreditation. How much time do they have dedicated to review the results of each campaign and keyword addition each month? Will they also be inserting conversion tracking, ad scheduling and geographic targeting? If you get a blank stare at ANY of these items then move on. If you are interested in reading further here are some other PPC tips and tricks to ensure that you are running effective pay per click campaigns. While it was not our intent to name companies that presently subscribe to these techniques, we did want to promote the education level of the issues currently going around in the internet marketing world. We welcome any further discussion that you would like to add to help educate a growing membership of people that want to make sure that they are both educated and want to choose an internet marketing company with the ethics appropriate to them. "We do not offer preferential pricing or ranking to any companies in the organic or sponsored results. All companies participating in our auction for sponsored links are held to the same standards." There will always be fly- by – night operators eager to make a killing out of an unsuspecting client. Clients themselves need to safeguard themselves from such unscrupulous elements and go with an internet marketing company that is both ethical and of long standing. Your sound advice is an eye opener and should help a prospective client separate the wheat from the chaff. This is an awesome post! Way to go DJ! Since I get people all the time putting us in the same boat as everyone else, one of the best things I have done is provide a document that allows someone to properly qualify an Internet Marketing company they are thinking of doing business with. It lists what things to think about, what research and due diligence to do on companies and provides questions to ask along with other good stuff. This document applies to SEO as well. If anyone is interested in this document, I will make it available and will send you a pdf on it. It will make you more confident, save you time, energy, potentially a lot of money and will let you sleep at night. 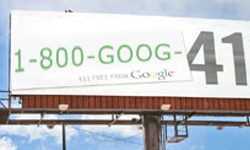 Online Innovation	Stop Using 411 & Start Using 1-800-GOOG-411!